Auntie M thoroughly enjoyed Edith Maxwell’s newest Local Foods mystery, Farmed and Dangerous. The mystery follows the latest adventure of organic farmer Cameron Flaherty. Moran Manor Assisted Living is now home to the man who raised her, Great-Uncle Albert, and his new romantic interest, Marilyn. But it’s much more to Cam, trying to establish herself as an organic farmer. She’s hoping to get the contract to provide produce for the Manor and to that end has dropped off some of her delicious greens, root veggies, squash, herbs and even homemade pesto for a trial meal. With her rescued chickens, including the recalcitrant TopKnot slow to lay eggs in the cold weather, Cam works hard alone at her farm with only occasional help. With her detective beau Pete Pappas making her a fabulous Greek meal that night, Cam’s fingers are crossed that dinner at Moran Manor is going well. Then Pete gets a call that changes everything: one of the Manor’s patients has died, poisoned after eating the meal based on Cam’s produce. And Pete must step back from their relationship until she’s cleared. Since no one else at the Manor who ate the same meal was poisoned, the question soon becomes: Who would want Bev Montgomery to die? Surely not the handsome opera singer/farmer Richard Broadhurst, seen taking Bev out to dinner recently. Could it be her own daughter, Ginger, who wants to use Bev’s farmland for luxury condos? And what is Cam’s friend’s ex husband doing at the Manor? Ruth Dodge’s husband, Frank, hasn’t been seen or heard from in months, yet it suddenly appears his photographs are being featured at the Manor. You’ll learn about the intricacies of organic farming while Cam unearths a killer in this second Local Foods mystery. But wait–there’s more! Auntie M had the pleasure of interviewing fellow Sister in Crime, author Edith Maxwell. This is not the only series Edith writes. Let’s hear from her in her own words about how she juggles writing. Auntie M: Edith, you have such an interesting background. 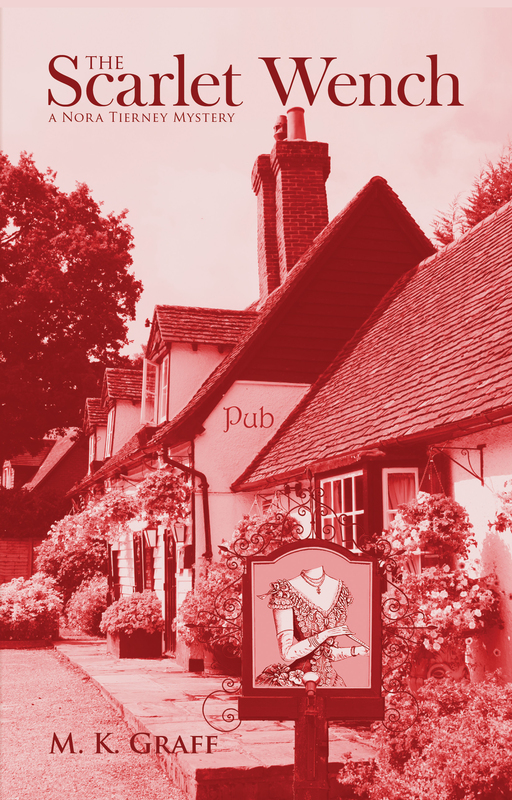 Could you tell readers how you came to write crime fiction? Edith Maxwell: I love reading mysteries, especially cozy and traditional mysteries. It just made sense that I would write in that genre, too. I started my first book when my younger son went off to kindergarten while I was home with the kids for a few years and being an organic farmer. 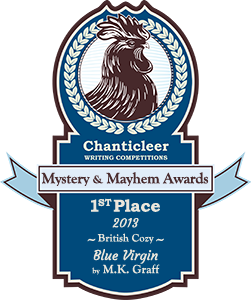 It was the first time I’d had every morning to myself since my older son was born, and I jumped into mystery writing feet first, knowing nothing much about creative writing except my urge to do exactly that. AM: You juggle writing FOUR different mystery series! It boggles my mind how busy you must be with The Local Foods Mysteries; The Quaker Midwife Mysteries; The Country Store Mysteries; The Lauren Rousseau Mysteries. What made you decide to go in these very different directions? EM: It was a pretty organic process. I will say that, for now, I have no plans for additional Lauren Rousseau books after Bluffing is Murder, which came out last November. Three series is enough to keep me more than busy, even though Speaking of Murder was my very first completed mystery novel and dear to my heart. The Local Foods series was my first contract with a major publisher. After I turned in the third book, I wasn’t sure if they were going to extend the contract, so I created the Country Store series set in southern Indiana, where I used to live. Lo and behold, my editor at Kensington bought it, AND continued the Local Foods series for at least two more books. 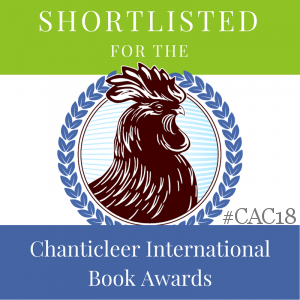 Delivering the Truth, the first in the historical Quaker Midwife Mysteries, which is set in my town in 1888, was a book I simply had to write, combining my love of local history with the legacy of independent and courageous Quaker women. I feel so privileged that Midnight Ink acquired it and awarded me a three-book contract. I’m just starting to write the second book now. AM: How do you keep four different series straight? Talk about juggling—what’s your routine for writing and keeping things straight and organized? EM: I write every morning, starting by seven. I do my very best to be working on only one book at a time. While I’m working on the first draft in one series, a draft in a different series might be sitting. Seasoning, as Quakers call it, and giving me some distance before I plunge into revisions. Sometimes, of course, the system blows up a little, like when copyedits come in on one book, a synopsis is due for a different book, and all I really want to be doing is creating the story of a third. But usually it works pretty well. Mind you, I am a complete failure at juggling actual balls. AM: And while we’re on the subject of juggling, you also have a short story that was nominated for an Agatha –how did you fit that in? EM: Once I get the idea for a short story, it doesn’t take me that long to write. Short works also go through their own seasoning and polishing process, but it’s all so abbreviated I can fit it in around the edges of my other work. I took Amtrak to Bethesda for the Malice Domestic conference, for example, and most of my work time down and back was working on a Poe-themed short story. AM: Could you compare writing short fiction to a full-length novel for readers? EM: Sometimes a short story plot just isn’t big enough for a novel. And the complexity of a novel-length work would overwhelm a 4000-word short. 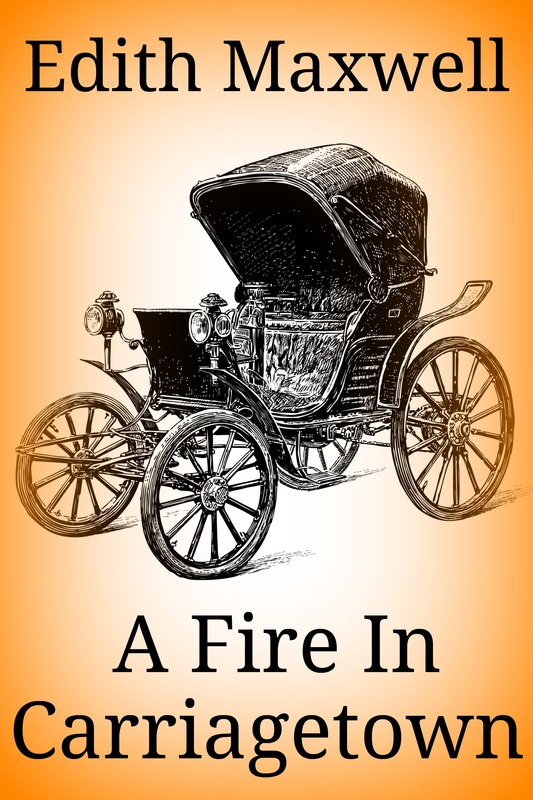 For example, the seed of Delivering the Truth was a short story I wrote, “Breaking the Silence,” which was published in a Level Best Anthology (and which I have reissued as an ebook called “Fire in Carriagetown”). But its story of malicious arson wasn’t big enough for a book, and the protagonist, a seventeen-year old mill girl, wasn’t strong enough to carry a series. So I invented her midwife aunt, Rose Carroll, who is the sleuth in the books, and added a couple of murders. AM: When you have down time, which I suspect there isn’t much of, what else besides writing interests you? EM: I love gardening, once the snow has stopped. Which took a long time this year! I cook, I read, I go for long walks, and we love to see movies on the big screen at our local Screening Room. AM: When you squeeze in reading time, what’s waiting on your To Be Read Pile? EM: I still pretty much read only in the genre. Right now next up is two of the Wicked Cozy authors’ new releases: The Icing on the Corpse by Liz Mugavero, and Musseled Out by Barb Ross. Then I’m dying to read Catriona McPherson’s new thriller, Come to Harm, and Victoria Thompson’s latest Gaslight Mystery, Murder on Amsterdam Avenue, also an historical featuring a midwife-sleuth. But I’ve also agreed to blurb a collection of short stories by fabulous Quaker author Chuck Fager, so that’s going to bump the novels. So many books, so little time! AM: Finally, what’s one thing readers would never guess about Edith Maxwell? Agatha-nominated and Amazon-bestselling author Edith Maxwell writes four murder mystery series, most with recipes, as well as award-winning short stories. 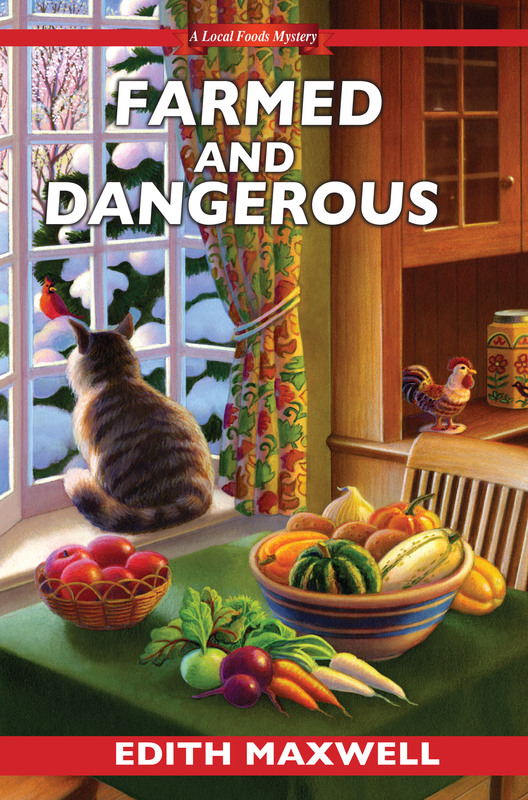 Farmed and Dangerous is the latest in Maxwell’s Local Foods Mysteries series (Kensington Publishing). The latest book in the Lauren Rousseau mysteries, under the pseudonym Tace Baker (Barking Rain Press), is Bluffing is Murder. 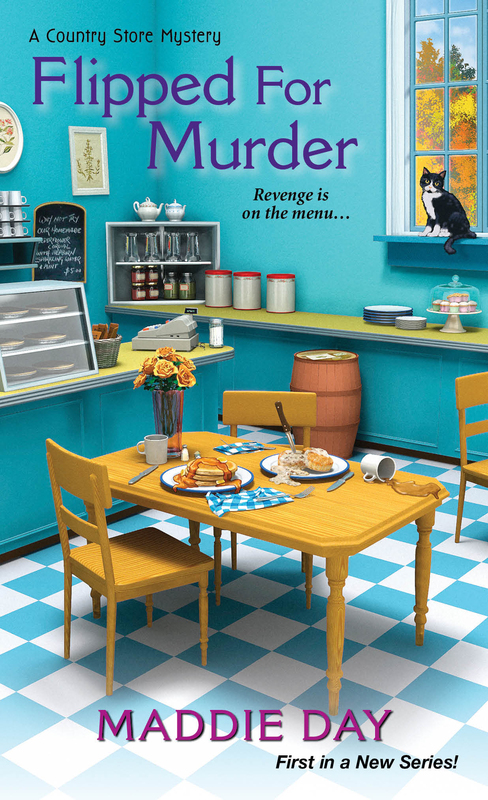 Maxwell’s Country Store Mysteries, written as Maddie Day (also from Kensington), will debut with Flipped for Murder in November, 2015. Her Quaker Midwife Mysteries series features Quaker midwife Rose Carroll solving mysteries in 1888 Amesbury with John Greenleaf Whittier’s help, and will debut in March, 2016 with Delivering the Truth. A fourth-generation Californian, Maxwell lives in an antique house north of Boston with her beau and three cats. 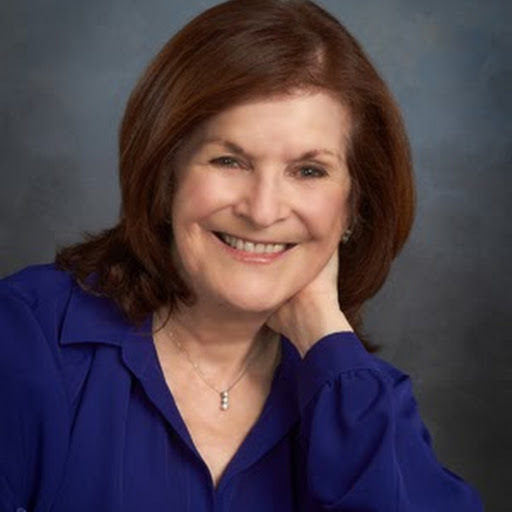 She blogs every weekday with the other Wicked Cozy Authors (http://wickedcozyauthors.com), and you can find her at http://www.edithmaxwell.com, @edithmaxwell, on Pinterest and Instagram, and at http://www.facebook.com/EdithMaxwellAuthor. Unlike many of Auntie M’s guests and readers, I’m neither a writer of mystery novels nor a lifelong reader of them. I guess you could call me a wannabe—a “literary” novelist who occasionally hangs out in the mystery genre, hoping to pick up a few tricks of the trade from the respected practitioners. Among writer friends, I make a joke of my addiction to re-runs of Masterpiece Mystery—Inspectors Morse, Lewis, and Lynley . . . Miss Marple, Wallander—but then, turning serious, I muse that watching mysteries can be a good thing for those of us interested in plot development. I expect my friends to believe what I’ve made myself believe—that an afternoon of watching murder mysteries (when I ought to be writing) isn’t really procrastinating, not as long as I’m “studying” in what order the writer makes things happen on the screen. 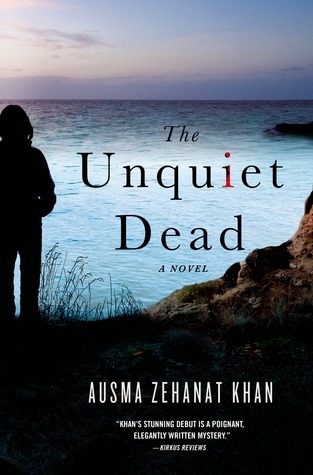 My brother (not a writer but an audiologist) has long been an avid reader of mystery novels. For years now, he’s been saying he and I should collaborate—that he could come up with the story line, drawing from his familiarity with detectives and police procedurals and all sorts of formulae for whodunits. And of course I would do the writing. There’s something wistfully half-serious about my brother’s proposal. He really loves mystery novels. He really loves me. Maybe he thinks I could actually deliver on my half of the bargain. Once, out of the blue and without my brother’s help, I came up with an idea for a mystery novel. I was very pleased with myself. I had what seemed the necessary ingredients: setting (contemporary Baltimore), sleuth (somewhat jaded nurse about my age), and murder (or what appears to be murder to the nurse-sleuth, but to no one else.) I wrote the first chapter of my first mystery novel in a glow of self-satisfaction. Then right after I typed “Chapter Two” I was in trouble. Determined to follow through, I ordered several manuals with bold, no-nonsense titles like “How to Write a Mystery Novel.” I devoured these manuals with pleasure, as though they were novels themselves, the heroine a person just like me who crafts a gem and finds both agent and publisher to adore her. This was ten years ago. 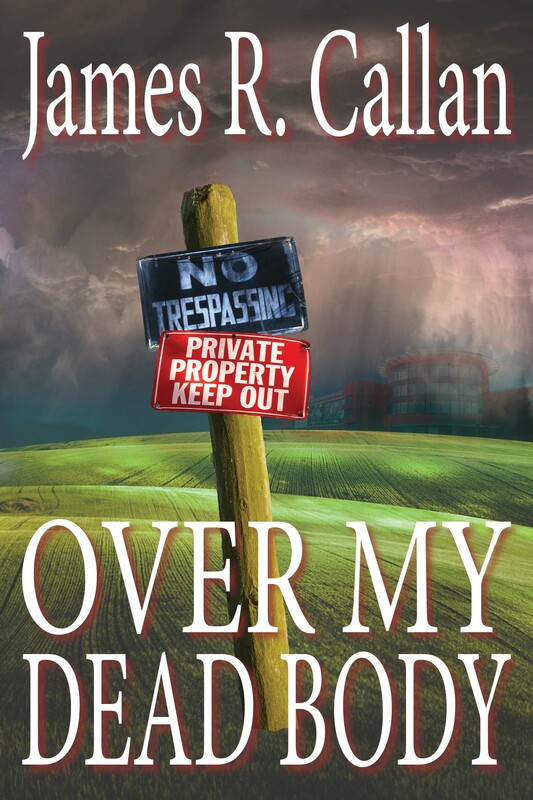 I still have Chapter One of my first mystery novel on my computer. As for the how-to books, I think they may have left the house last fall, in a box headed for the Hospital Auxiliary Sale. I’ve recently launched my second novel, Stone Harbor Bound (Bridle Path Press). Already, much to my surprise, I’m happily working away at a third. I’ve got the setting (contemporary Baltimore) and the main character (a somewhat jaded nurse about my age). I’ve even raided Chapter One of my first mystery novel for some of those details that delighted me the first time around. But the main character of my third novel isn’t actually a sleuth. Turns out she’s just a wannabe, like me. 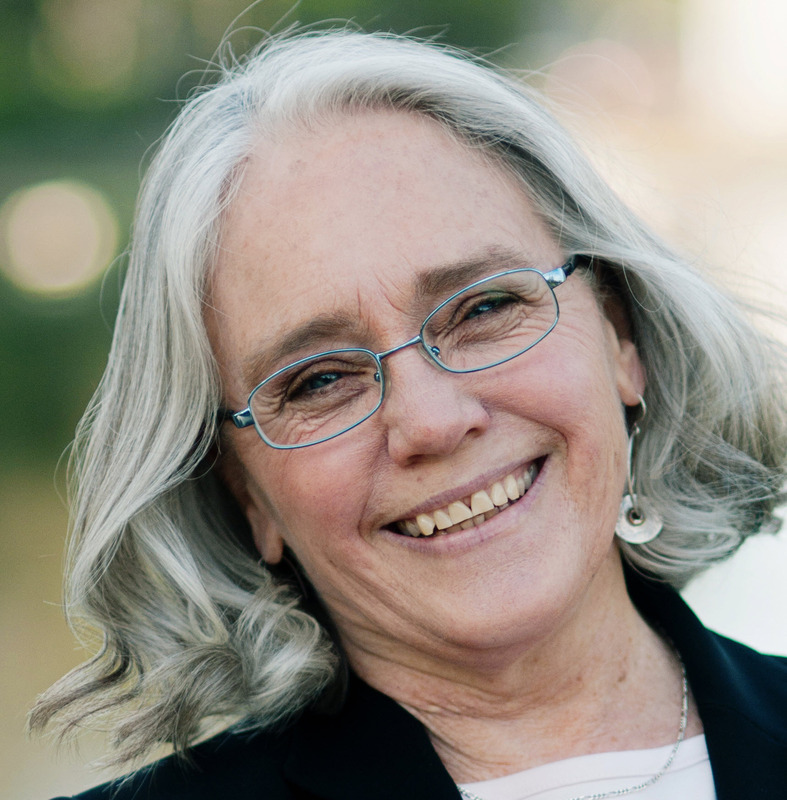 Madeleine Mysko’s poetry, fiction, and essays have been published widely in journals that include Smartish Pace, The Hudson Review, Shenandoah, Little Patuxent Review, and Bellevue Literary Review. 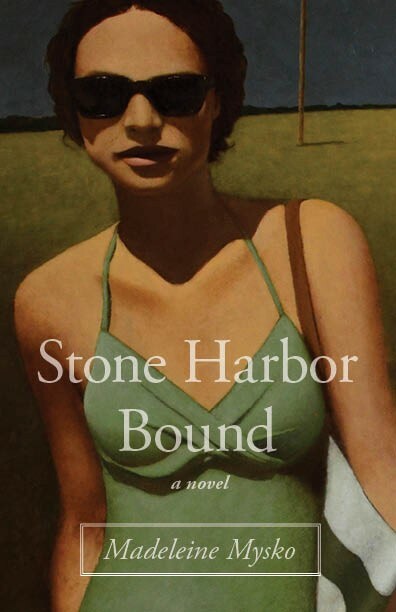 She is the author of two novels, Bringing Vincent Home and Stone Harbor Bound. A graduate of The Writing Seminars of The Johns Hopkins University, she has taught creative writing in the Baltimore area for years, and presently serves as contributing editor at American Journal of Nursing. Jerry and Rossi are at it again in Broken Window. They’re married for three months when the story opens and living on Jerry’s farm and animal rescue reserve, Peaceable Kingdom. Jerry is a detective on the Wilton Police Force and Rossi is an investigative reporter in her new job at the The Norwalk Daily News. They met when Rossi covered a police strike, in Murder at the P&Z, the first book in the Carol Rossi Mystery Series. She was working for the town newspaper, The Wilton Weekly News. At that point, Rossi had lost both parents in a years time, and with them was gone that feeling that she was the most important person in the world to someone, until Jerry came along. Rossi is a local hero. Her expose’s resulted in ousting some politicians and better environmental protection. She proved time and time again that she was at late night meetings representing the public’s interests. Then when the recently retired town planner’s secretary is found dead on School Road, in Murder at the P&Z, it is Rossi and Jerry who solve that murder, but to everyone in town, it seemed like Rossi did it singlehandedly. The murder case brought the two closer together. 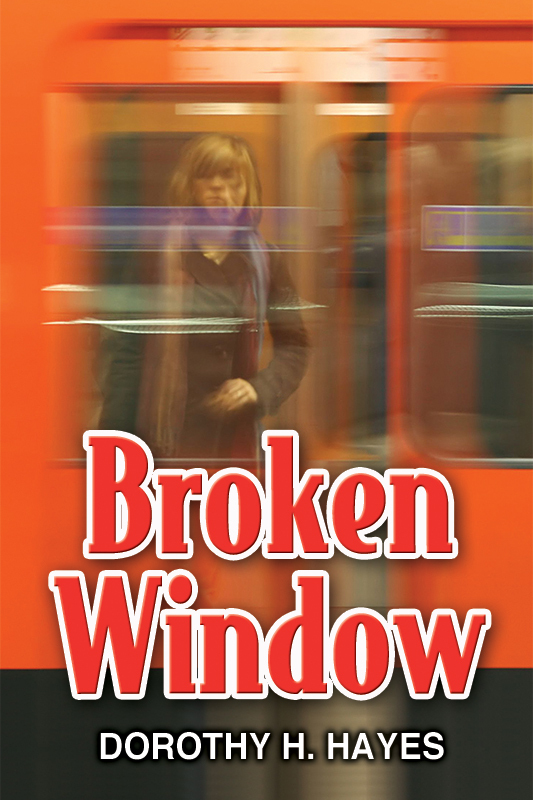 In Broken Window, in August 1984, a Wilton High School graduate goes missing off a number six subway train in New York City, and the parents turn to Rossi and Jerry for help. The city is dangerous, its crime rate at an all time high, it is in a financial crisis, ten thousand fewer cops are on the streets, the NYPD won’t care about a missing Wilton girl, the parents tell Rossi and Jerry. 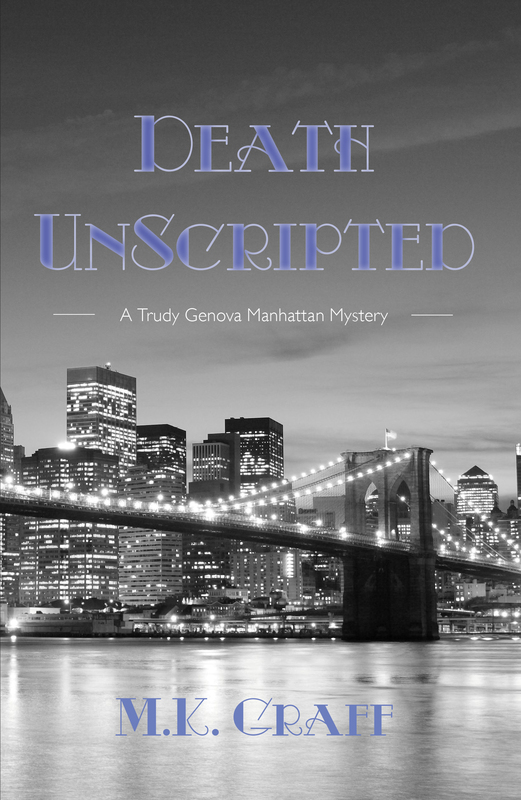 Rossi is much more on her own walking the city streets looking for clues, and riding the graffiti marred, old and failing subway trains searching for a witness to the girl’s kidnapping. With frequent muggings, and gangs openly roaming the trains wearing their gang colors, the subway trains had become a symbol of the declining city. Life is more complicated, now as well; she’s a 47 year-old newlywed. Both she and Jerry must adjust, but adjustments don’t come easy in the middle of a missing person’s case.